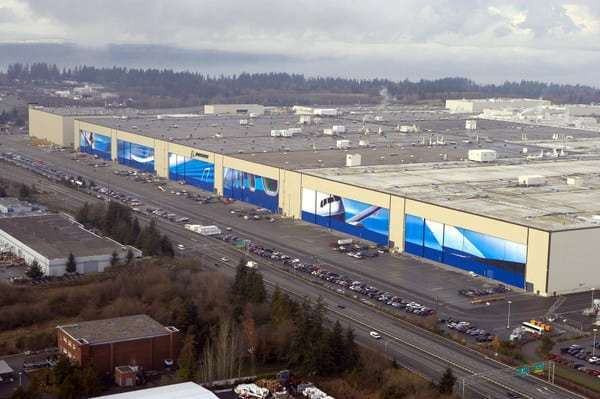 When the brains behind Boeing, the aircraft maker, planned a factory in Everett, Washington, back in the 1960s, they probably didn’t know that one day, their creation would have expanded multifold to become the world’s largest building. This 1kmx0.5km structure covers nearly 3,40,000 square metres, accommodating as many as 910 basketball courts. 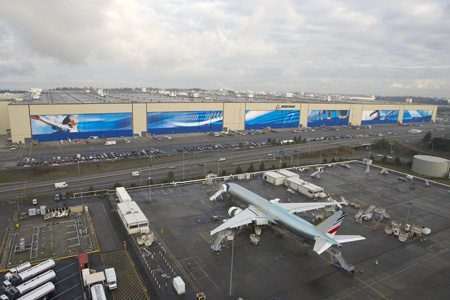 Though Boeing was present in Everett since 1943, the idea of this building was born when the company received a $525 million order from Pan American World Airways for 25 747s. The factory, which currently houses more than 30,000 employees, was thus built in 1968. In the late 1970s, it expanded to facilitate the manufacture of 767s, again in the 1990s for the 777s, and once more recently for building composite 777X wings. It now has its own fire department, security team, daycare centre and fitness centre. Naturally, it is impossible for employees to walk around inside the building, so they have hundreds of bicycles and tricycles at their disposal, and driverless vehicles assist by transporting material and products around. In fact, there are almost 4km of pedestrian tunnels under the factory to help workers move around without affecting work. Twenty-six cranes, moving along 72kms of networked tracks, average 45 lifts a month. There is no central heating or air-conditioning; for heat during winters, it relies on one million light fittings, and for cool during summers, it simply opens its six giant doors. Boeing’s Everett factory never sleeps. More than 25,000 meals are served everyday at one of the dozens of eateries inside, feeding thousands who work in shifts 24x7 to churn out a new 747, 767, 777 or 787 every few days. But don’t worry, Boeing isn’t keeping the fun all to itself. It organizes regular visitor tours inside the Everett factory. The 90-minute tour will cost you up to $35 (Rs. 2,500), a small price to pay for a once-in-a-lifetime experience. According to the company, more than 1,50,000 people visit the site each year. KFC follows 11 Herbs and spices on Twitter, and it's "so good"! Yeti: A myth or a reality? Descendants of the T-Rex: Beware of the Chickens! Tea-time! How was tea invented? The world’s longest train journey takes eight days! The Shortest War in History: How to end a war in 45 minutes!